Moratorium-mi & MECAWI are no longer associated with PeoplesPowerAssemblies. Below is archived of struggles when they were & which PeoplesPowerAssemblies supported. 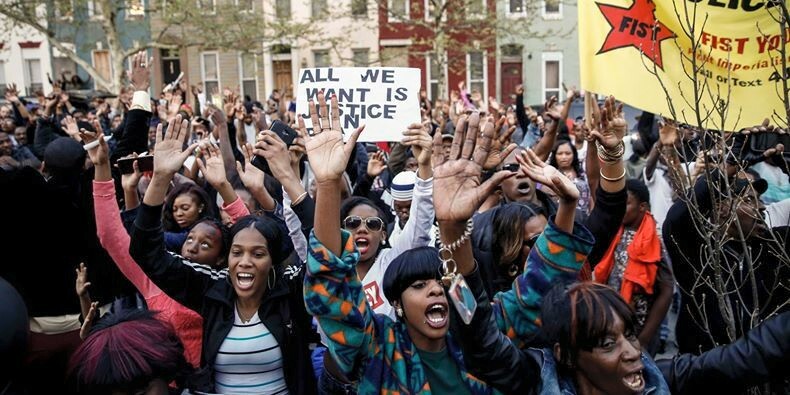 See article : Dr. King’s Struggle Legacy & the Current Crises of the Cities: …Attacks On Unions, Education And Pensions Require Mass Mobilizations Against Capitalist Restructuring. –June 29, 2018: The 29th Annual Pastors for Peace Caravan. FB Event. Protest Criminal Separation of Families . –June 18: Nonviolent Moral Fusion Direct Action In Detroit. FB Event. See FB Event for latest dates & actions. BACKGROUND: The Detroit Water and Sewerage Dept shuts off service to customers who are $150 behind and/or 2 months late on their bill. Low income customers are eligible to sign up for payment plans to catch up on current and past due bills with a starting deposit of 10%. If they default, the deposit goes up to 30% then 50% — a losing formula if you’re already struggling to pay the lowest rate. Let’s be honest, no one chooses to live without household water to drink, cook, bathe and flush the toilet. Most low income families can’t afford to keep up annual service rate increases and the growing cost of infrastructure repairs that are passed on to customers. What we need is a WATER AFFORDABILITY PROGRAM BASED ON INCOME so that poor families can pay 2-3% of their income instead of double digit percentages like now. This type of program started last summer in Philadelphia and is a big success! Households with low income vulnerable populations like seniors, people with disabilities, chronically ill persons, low wage workers, kids and babies are more likely to contract water-borne illnesses and experience inadequate access to clean sanitation. Protecting the least among us by ensuring they have safe, clean, accessible and affordable water is a win-win solution for us all! These families can address their basic life-sustaining needs and we all experience safe public health and community well-being. As Michiganders, let’s make water a human right for all! Map out a strategy for defeating the war being waged by the banks, corporations & government against the workers & oppressed. Capitalism cannot continue unchallenged while our very lives are being jeopardized by the ruling elites who are determined to grow richer & more powerful at our expense, whipping up white supremacy, an anti-immigrant offensive attacks on women & anti-LGBTQ bigotry to keep our class divided. ***Jan 15, 2018 Detroit MLK Day Rally and March. FB Event. **Jan 20: J20 Rally and March – Fight Trump and the Capitalist System he Represents. FB Event. The conference is designed to promote Detroit as a model for “urban revitalization.” Our Speak-Out will fully expose the role of the banks, multi-national corporations, the business media & political comprador elites in perpetuating the super-exploitation of the people of Detroit. The “rebirth” has meant that public revenues generated through the process of taxation are being funneled to the capitalist corporations. Real rebirth in Detroit would focus on: rehabilitation of neighborhoods; guaranteeing of jobs, housing, water services, & heating; & quality education for all. The banks who are responsible contributed for the destruction of our neighborhoods must be held accountable through criminal prosecution & the payment of reparations. ***DO IT LIKE DURHAM: PUBLIC MEETING ; SAT, SEPT 16, 2017, 5 P.M. / 5920 SECOND AVE, DETROIT (dinner served) HEAR A FIRST-HAND REPORT FROM THE YOUNG DURHAM, N.C. FREEDOM FIGHTERS FACING FELONY CHARGES FOR TEARING DOWN THE CONFEDERATE MONUMENT IN DURHAM, NC. **Tues, Sept 5, 2017: Stop the Auction of Occupied Homes. FB Event. SAVE DETROIT HOMES – REMOVE ALL OCCUPIED HOMES FROM THE TAX FORECLOSURE AUCTION THIS FALL. Use the City’s or County’s “Right to First Refusal” in Combination with the Hardest Hit Funds to Save Occupied Homes. Also see. **June 28, 2017: Moratorium NOW! Coalition Day of Protest on the Housing Crisis. FB Event. Workers, documented & undocumented, unite! Racist mass deportations have already begun in Detroit & throughout the country. Immigrants are being scapegoated & targeted by the Trump Administration & their reactionary supporters in order to divide the working class & distract us from identifying the real threat & our common enemy: Hate groups, U.S. imperialism, & the bosses. Join our efforts! –March 24, 2017: Red, Black and Queer slideshow, presentation & discussion: FB Event. –March 4, 2017: Counter-Demonstration against “March 4 Trump” FB Event. –March 2, 2017: Protest Bankers’ & Corporations’ Continued Looting of Detroit. FB Event. –Oct 4, 2016: Detroit in Solidarity with #Charlotte Uprising! Numerous groups, including various unions, have called for a demonstration against Trump when he speaks to members of the Detroit Economic Club at the Cobo Center in Detroit. The Detroit Economic Club is an organization of corporate & banking “leaders”, as well as their agents & apologists. Join with others on Monday to oppose Trump & his racism, Islamophobia, misogyny, white supremacy, immigrant bashing, & general hatred of a united multinational & multiracial working class. Demonstrate at Shareholders Meeting – Make GM Pay! 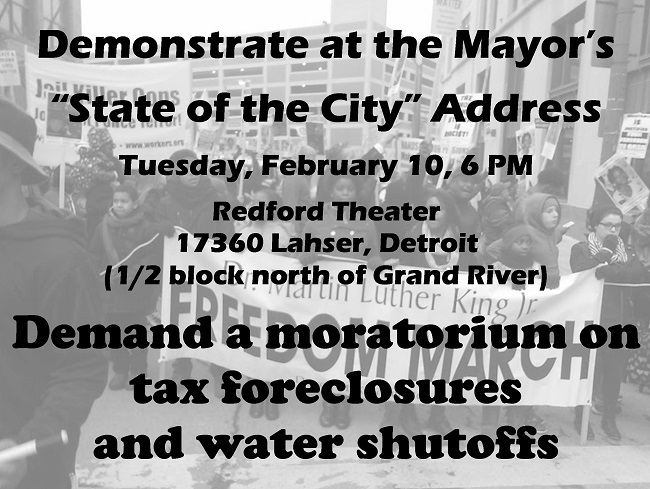 -Demand an Immediate Moratorium on All Tax Foreclosures and Water Shutoffs! -Demand NO Dumping of Poisonous Fracking Waste into Detroit’s Sewer System and Neighborhoods! FB Event. ***Flint: Get the lead out! (background, facts & actions); Protest Feb 10, 2016: Demand GM pay Flint $4 billion! FB Event. Saturday – December 12, 2015 – Noon to 5 P.M.
Michigan political prisoner, the Reverend Edward Pinkney, fears for his life. 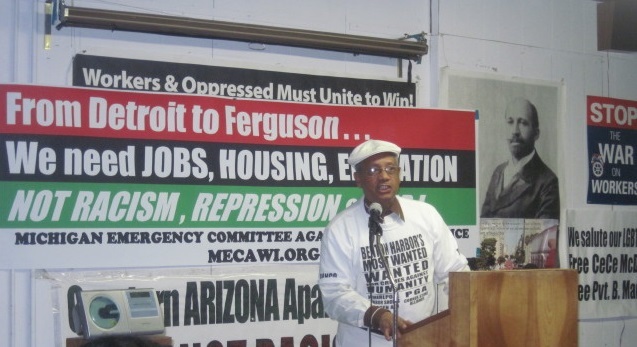 With phone access denied, he is isolated in the far north Marquette Branch Prison, 500 miles from his wife, attorney and supporters..read more FB Event…..
–Wed, Dec 9, 2015: 5pm: Detroit Demonstration Against the Bank-led Looters of the City. See FB Event for details. The Jones Day law firm which took $53 million from the people of Detroit to manipulate the phony “bankruptcy” will be hosting judges, lawyers, bankers and billionaires at a gala event. –Sept 15, 2015: DEMONSTRATE TO STOP TAX FORECLOSURES/ EVICTIONS: FB Event. 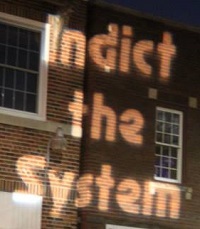 ***Thurs, Aug 20, 2015: 12 – 2pm; Quicken Loans Hdqtrs, 1050 WOODWARD, DOWNTOWN DETROIT. USE HELPING HARDEST HIT FUNDS TO KEEP FAMILIES IN THEIR HOMES, NOT FOR DAN GILBERT’S “BLIGHT TASKFORCE.” STOP TAX FORECLOSURES. See FB Event. NO TO AUSTERITY AND ECONOMIC TERRORISM – Detroit is the epicenter for austerity and the war by finance capital against the working class in the US. The workers of Detroit stand with the people of Greece in saying NO to austerity, NO to pension cuts, and NO to privatization. CANCEL THE ILLEGAL DEBT. MAKE THE BANKS PAY. FB Event. 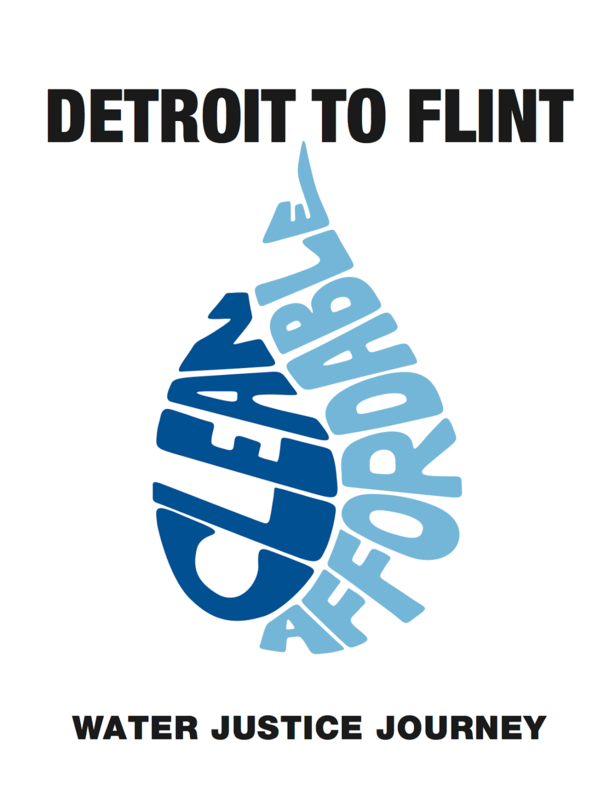 –July 3 – 10, 2015: Detroit to Flint Water Justice Journey. Info. Referendum Campaign: Our Water, Our Vote! Info. Blow the Great Lakes Water Authority Out of the Water! Let the People Vote! 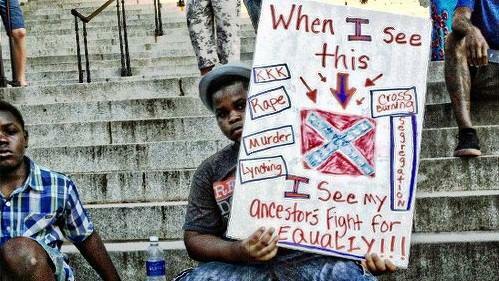 –Friday, June 26, 2015: 4:30pm; The Charleston Massacre demands a fightback against racism: Grand Circus Park Historic District. FB Event. St. Peter’s Episcopal Church (Michigan & Trumball). Meet to review June 8 demo at the county treasurer’s office AND to plan the next steps in building a movement & fightback against all those behind the wide-ranging assaults targeting Detroiters (water shutoffs, tax foreclosures, destruction of schools, police brutality, …). Take Back Our City! Stop Tax Foreclosures! -Its Not One Thing. Its Everything. Detroit is in a state of emergency. This emergency was created and intended. 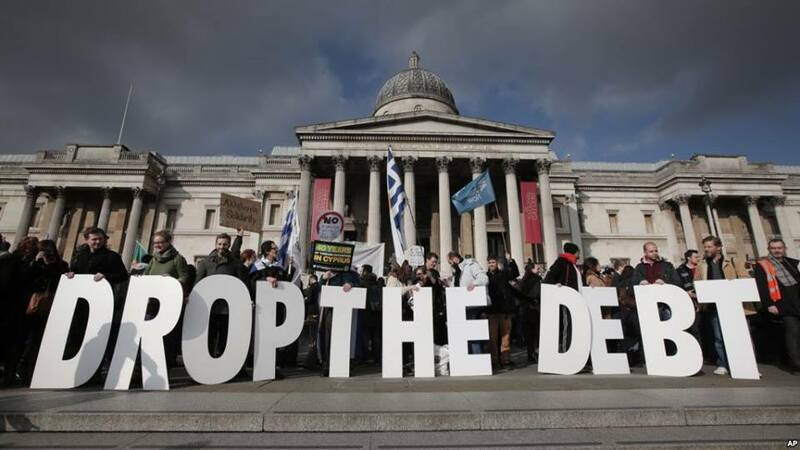 This crisis has been orchestrated by Wallstreet bankers and billionaires. On June 8 WE stand together in the street to say NO MORE. NO business as usual. This is a moment in time where we can stand together and protect our neighborhoods and communities OR NOT. WE will loose them all to the Detroit Future City created by billionaires who have already started stealing the land, if WE dont. Thousands of occupied homes face tax foreclosure and eviction on June 8th. Neighborhoods already devastated by years of predatory lending by banks will be eliminated. June will launch a summer of resistance to stop foreclosures and water shut offs, and defend the people of Detroit against the bankers and developers and the politicians who represent their interests. 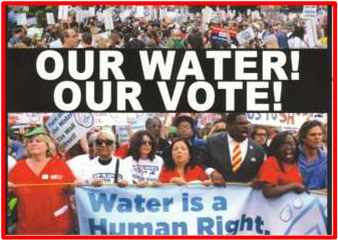 –Wed, May 27, 2015: 7-8pm; Unite the Fight against Tax Foreclosures & Water Shutoffs! St. Peter’s Episcopal Church, 1950 Thrumbull, Detroit. FB Event. –Tues, May 12, 2015: 12pm. 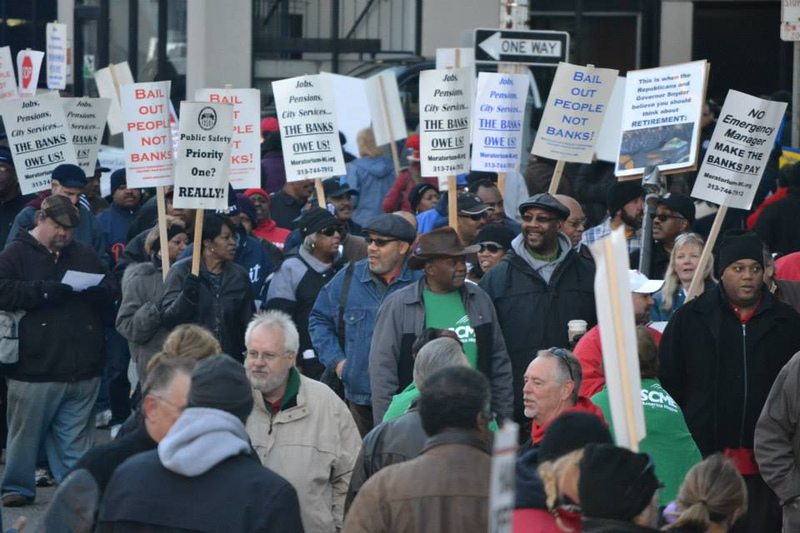 Wayne County Treasurer’s Office, 400 Monroe, Detroit: FB Event. 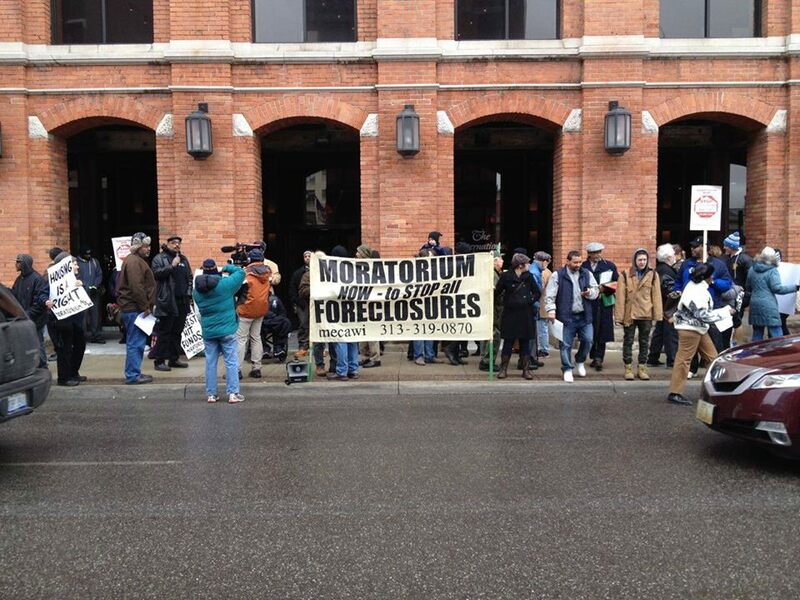 Extend tax foreclosure deadline; moratorium on foreclosures! Community Groups, including the Moratorium Now Coalition, ACLU, Russell Woods-Sullivan Area Association, and many more will be holding a press conference and rally to demand that the Wayne County Treasurer extend the May 12 deadline for putting properties into tax foreclosure, and instead implement a moratorium on occupied homes to avert the emergency facing our community. According to Wayne County Assistant Treasurer David Szymanski, 31,000 properties are scheduled to go into tax foreclosure as of May 12, with at least 9,000 occupied properties. This does not include the up to 18,000 properties being foreclosed on through the “reverter” program. See FB Event for complete details. Friday, May 1; 11:30 – 6 pm. Demand the State of Michigan release $ 251 Million of federal “Helping Hardest Hit” funds to stop tax foreclosures. Demonstrate Thurs., April 16, 12 noon; State of Michigan Bldg, Cadillac Place, Detroit (West Grand Blvd. between Cass & 2nd). FB Event. Article/specifics. Saturday, March 14, 2015; 1 – 4pm; Christ Church. In the meantime, Lansing is sitting on $220 Million of Hardest Hit Homeowners funds, enough to pay all the delinquent property tax bills of occupied homes, stop the foreclosures, and provide funds to restore county and city services. -Tuesday, February 10 at 6:00pm: See FB Event. Declare a People’s State of Emergency in Detroit! * Stop Water Shutoffs Now! Sponsor: Detroit MLK Committee. FB Event. After the march meet at 5920 Second Ave. for potluck/discussion. Join the protest against theft of our pensions and the water shutoffs. Picket line and speakout all morning. **Due to the start of the trial in bankruptcy court on the feasibility of the Plan of Adjustment, Freedom Fridays have been suspended. Check moratorium-mi.org for updates. Are you sick of being kicked around by bankers, corporate bosses, their politicians and judges? Take action every Friday against the attacks on our democratic rights and city services, the plans to steal city assets, the plot to rob city workers’ pensions and benefits and the massive privatization and union busting. We want this to become a weekly event for all groups and individuals who want to fight back! Stop water shutoffs! Fight the privatization of our water & sewage systems!! Weekly Freedom Fridays are endorsed by: Moratorium NOW! Coalition, National Action Network-Detroit Chapter, Detroit Eviction Defense, Detroiters Resisting Emergency Management, We the People of Detroit, and Food Justice PMA. See Moratorium-Mi.